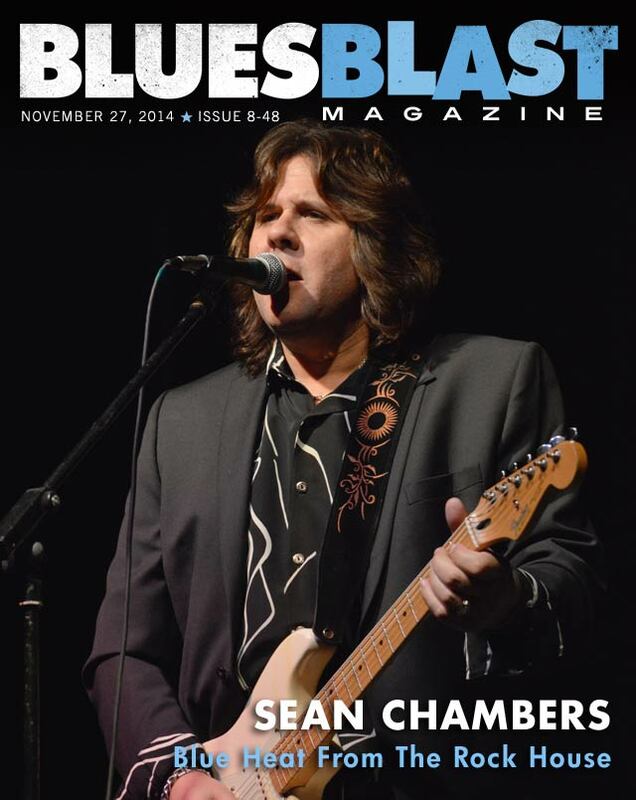 Terry Mullins has our feature interview with Blues Blast Music Award nominee, Sean Chambers. 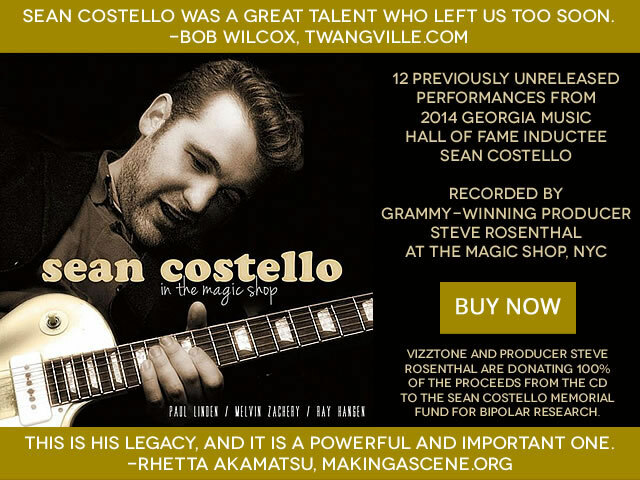 We have 8 music reviews for you including new music from Coco Montoya Live, Iko Iko, Laura Rain and the Caesars, Bobby Patterson, Nigel Egg, Etta Britt, Otis Clay and Johnny Rawls and a tribute to Gregg Allman. Have you seen our great Black Friday Sale yet? You can check it out HERE. We have some great deals for your holiday gift giving. All of our T-Shirts and books are on sale with FREE US shipping. The sale started Monday and goes till midnight next Monday and the response has been so big we already started running out of some of our cool new Blues Blast T-shirts. But don’t worry, if you tried to order already and we were out, we’ve ordered more! Check it out as we now have more sizes, colors, long sleeve and also Ladies T-shirts in 3 colors. Perfect gifts for the Blues lovers on your list. CLICK HERE to see them now! 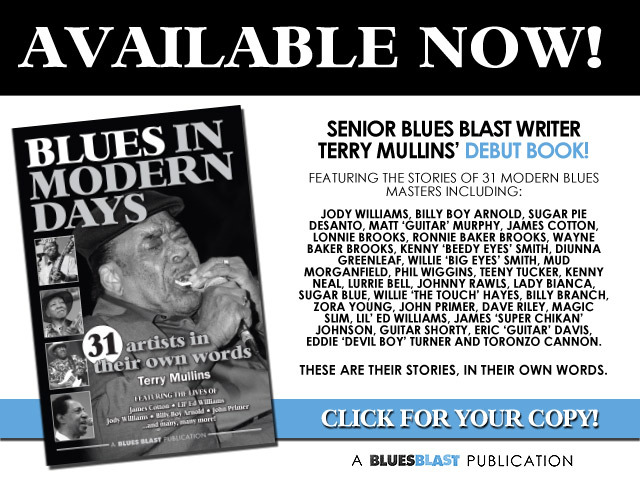 Also we are are offering the great new book Blues In Modern Days by Terry Mullins and you can get a personally signed copy with FREE US shipping now during the Black Friday sale. CLICK HERE. One final great deal we have for you is just CRAZY! You can get an ad on the side of our website for $30 days for only $50. Normal price is $175 so get this one before it is gone Monday. CLICK HERE. 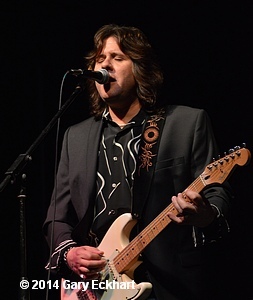 The latest in Ruf’s Songs From The Road sees experienced singer and guitarist Coco Montoya featured with his regular road band of Brant Leeper (keys and vocals), Rena Beavers (drums and vocals) and Nathan Brown (bass) on excellent live set recorded in Seattle across two nights in August 2013 and produced by Jim Gaines. Ruf often issues a CD/DVD package but on this occasion we get two CDs, so no viewing the players but you do get a lot more music in the package than usual. The set provides compelling evidence of what a great back catalogue Coco has and the material has clearly been selected to give listeners a broad taste of Coco’s abilities with songs chosen from across his career, most of Coco’s albums being represented here. In fact the only obvious gap in his discography was a live album, so this neatly fills that hole! 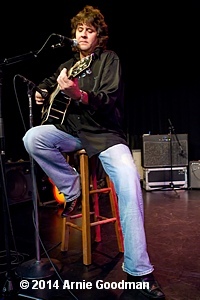 Coco had a hand in writing seven of the tracks here, including two written with Doug McLeod (a former Blues Blast Award winner) and three with David Steen. Covers inevitably include an Albert Collins tune as Coco always pays respect to the man who taught him to play guitar and encouraged his early career. In fact CD1 opens with Gwen Collins’ “I Got A Mind To Travel” and Coco’s debt to Albert’s style is immediately evident here: Brant’s swirling organ solo is the central feature but Coco takes a solo late on that is very much in Albert’s style. Two other tracks come from Coco’s debut CD as he plays sets of cascading notes in wonderfully relaxed style on his and Doug McLeod’s “Too Much Water” and hits a great groove on an extended version of his own composition “Love Jail” that gives both Coco and Brant plenty of solo space. Three cuts from his most recent studio album “I Want It All Back” appear, including the summer beach sounds of The Penguins’ “Hey Señorita”, a spare and appealing version of Smokey Robinson’s “The One Who Really Loves You” and “Don’t Go Making Plans”, a co-write with Little Feat’s Paul Barrère and Roger Cole which is suitably funky and rhythmic with some super bass playing from Nathan. “I Wish I Could Be That Strong” closes the first disc in fine, anthemic style with Coco’s strong vocal and solo. On CD2 there are lots of highlights, none better than the barnstorming version of “I Need Your Love In My Life” (a Coco original once covered by Solomon Burke). 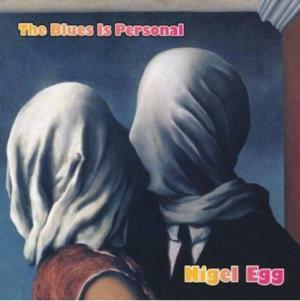 There is plenty of variety here: “My Side Of The Fence” is a classic shuffle whilst the catchy “I Won’t Beg” has almost reggae overtones, especially in the organ solo. The pleading ballad “Good Days, Bad Days” is given a lengthy treatment which gives solo space to bassist Nathan and Brant on piano as well as plenty of opportunity for Coco to play in very relaxed mood. Another gentle track is “I Want It All Back”, the title track of Coco’s last studio album which is beautifully played with superb harmonies from his band members and a striking solo from Coco before he thanks the stage crew and introduces his band members. A further reprise from that same album is Buster Brown’s “Fannie Mae” which is played a little more slowly than on the studio version, providing a chugging shuffle intro to disc 2. Coco closes the CD by looking back to his 1996 album in “You’d Think I’d Know Better By Now”, the second collaboration with Doug McLeod here. This one is a classic mid-paced blues with some solid ensemble playing, Brant switching from organ accompaniment to rolling piano in his solo and Coco coming back in on slide to show us another side to his playing. 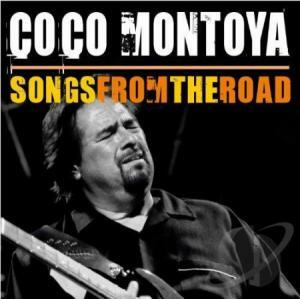 Coco Montoya has been around for a long time, playing with John Mayall before starting his solo career. This double set demonstrates the full range of Coco’s abilities and with his excellent band behind him it is a thoroughly entertaining listen, recommended to anyone who has enjoyed any of Coco’s studio albums or would make an ideal place to start for anyone new to Coco – highly recommended! 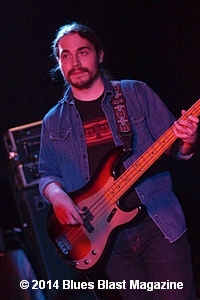 We made it out to the Redstone Room in Davenport, Iowa last weekend to catch a set by Nick Moss Band. It was a full house and Nick and the band put on a great show. For anyone that has ever had the privilege of riding in a funky ‘ole Ford Pinto, that experience was probably unforgettable. Especially if that funky ‘ole Ford Pinto was slathered in green on the outside, but had plenty of red percolating from the inside. 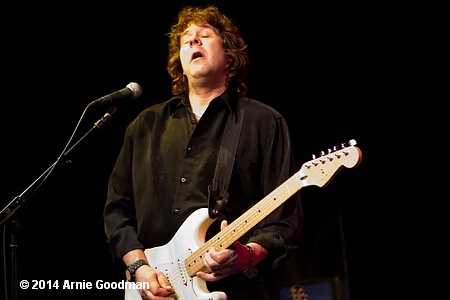 That’s precisely what Chambers has been doing pretty much ever since – playing an intriguing mix of Texas- and Chicago-styled blues, with a dash of Hendrix-inspired blues/rock for good measure – anywhere and everywhere he can. 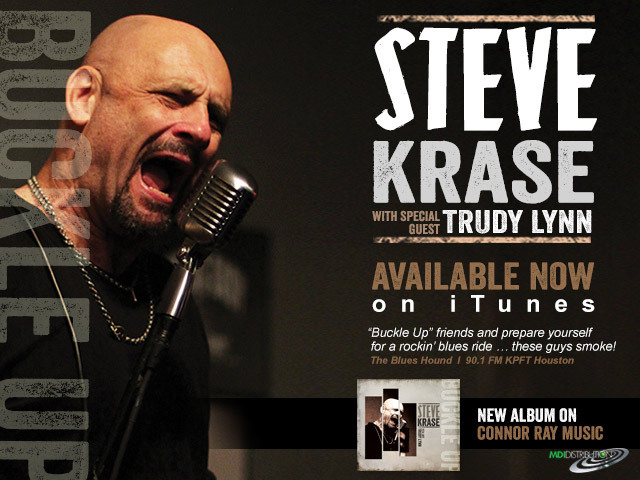 His latest album, The Rock House Sessions (Blue Heat Records) was recorded at Kevin McKendree’s Rock House Studio in Franklin, Tennessee and picked up a nomination for Best Blues/Rock Album at this year’s Blues Blast Awards. In addition to the immensely-talented guitar and vocals of Chambers, The Rock House Sessions boasts a who’s-who of A-List musicians, cats like Reese Wynans (who produced and played keyboards), Tommy MacDonald (bass) and Tom Hambridge (drums). The resulting experience was one to remember, says Chambers. Another beneficial part of the process of having that group of heavy hitters plunked down in the Rock House was; that in addition to having access to their musical chops, Chambers also had access to some plumb material, as well. “At the time, I only had about half the songs that I needed for an album written and finished. So one of the advantages to having Reese produce it, was he was able to bring a bunch of great songs to the table, too,” Chambers said. 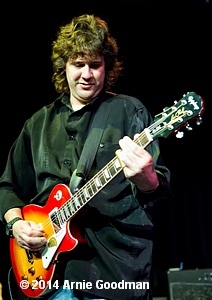 Hambridge contributed some tunes to the project, Chambers brought some of his own songs – and he also paired up with Wynans for a couple – and the whole album was rounded out just right with a dash of songs from two of Chambers’ musical heroes, the late, great Alvin Lee (“Choo Choo Mama”) and the phenomenal Gary Moore (“Holding On”). Plans are currently underway for a follow-up to The Rock House Sessions, although Chambers’ next offering may see him going back to work with his regular band (Todd Cook, bass; Paul Broderick, drums; Gary Keith, harp) in the studio. The last couple of years have seen Chambers devoting considerable time and effort on another front. In 2012, Rickey Medlocke decided to reform southern rock stalwarts Blackfoot. 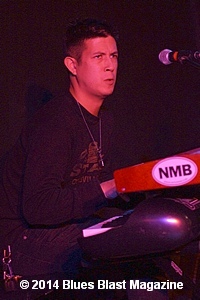 Medlocke – a founder of Blackfoot and current guitarist for Lynyrd Skynyrd – handpicked the members of the latest version of Blackfoot (his involvement was as producer, not as a musician with the Jacksonville-based group) and Chambers was tabbed to play guitar and sing, which he did for a couple of years. No doubt Chambers knew this before his time with Blackfoot, but it was reinforced during his 24 months with the band that there are a few differences between a big rock-n-roll extravaganza and an evening spent playing the blues. Before his tour of duty with Blackfoot, Chambers had the unique opportunity to play with one of the true legends of electric blues guitar – heck, any kind of guitar for that matter – Hubert Sumlin. That wood-shedding paid off when Sumlin was so pleased with the job that Chambers and his group did at the Bluestock gig that he asked them to stay with him and hit the road hard. Considering the fact that Sumlin had to put up with all the trials and tribulations of touring around the country in a station wagon with Howlin’ Wolf, it would make perfect sense if Sumlin was a bit standoffish or hard to get next to. However, Chambers says nothing could be further from the truth. A special guy who never once forget the reason that he was up on the bandstand. He may not have known it as a pre-teen, but a good number of the bands – some even on the heavier side of things – that he was listening to at the time all had Hubert Sumlin to thank in some way, shape or form. All those sparks of inspiration come through loud and clear in Chambers’ playing, as does a touch of the bombastic leanings of Zeppelin, Skynyrd and Boston, influences from his younger days. The Allman Brothers Band has survived its share of adversity since their first paying gig in 1969, and after 45 years they have finally called it quits and had their finals shows at New York City’s Beacon Theatre. One of the founding members, Gregg Allman, will continue on with his solo career, which is to be expected as he has quite a following of fans, including countless professional musicians. On Friday, January 10, 2014, some of these legendary artists joined at the Fox Theatre in Atlanta, Georgia to honor Gregg and join him in song. All two-and-a-half hours of this show were captured on two CDs and a DVD, so you can experience this magical evening for yourself! 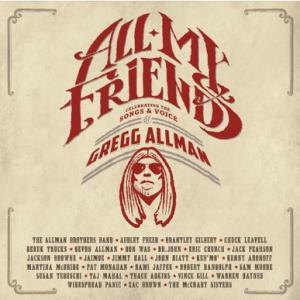 All My Friends: Celebrating The Songs and Voice of Gregg Allman includes 26 songs with performances from a lengthy list of industry hard-hitters and hall-of-famers, including Warren Haynes, Derek Trucks, Susan Tedeschi, Dr. John, Eric Church, Pat Monahan, Jackson Browne, John Hiatt, Vince Gill, Martina McBride, and more! Gregg Allman joined in the celebration too, along with the rest of the Allman Brothers Band for a. The set list is chock full of Allman goodness, with early Allman Brothers Band albums represented as well as tunes combed from Gregg’s solo catalogue. It is noteworthy that the Allman Brothers Band actually performed a few of the tunes, but they also assembled a house band to die for that played for the rest of the evening. This included Don Was on bass, Kenny Aronoff on the skins, Jack Pearson and Audley Freed on guitar, Chuck Leavell on piano, Rami Jaffee behind the Hammond, and Jimmy Hall tearing it up the harmonica. This would have been good enough, but they also brought in the McCrary Sisters on backing vocals and a killer horn section of Jim Hoke, Vinnie Ciesielski, and John Hinchey. These are all pros with centuries of combined stage experience and they made the evening enjoyable and complete. This is a high-quality release with excellent production values, and the producer for this Rounder Records project is the one-and-only 3-time Grammy award winner Don Was. He was definitely qualified for this task, with credits that include The Rolling Stones, Bob Dylan, Willie Nelson, Roy Orbison and Neil Diamond. The sound and mix is as good as you will get with a live album, and the cinematography and editing of the DVD is crystal clear and it was put together so that fans get to see everything worth seeing. But the best part of the set is the DVD, and if you are not terribly busy you can take most of an evening to sit back and watch it. There are no special features or commentaries, but it is probably one of the better-produced concert videos that you will ever see. On the screen you get to see the mountains of amplifiers and the huge cast of musicians that made this tribute possible. This video gives a better idea of what a bang-out job that the house band does, including the powerful drumming of the indefatigable Aronoff, and the kicking yet subtle contributions of Pearson and Freed on guitar. The pedal steel work of Robert Randolph on “You Can’t Lose What You Ain’t Never Had” was a complete jaw-dropper and he did a righteous job alongside Gregg’s son, Devon Allman, on guitar. Also, the finale of “Will the Circle Be Unbroken” is very touching as all of the musicians returned to the stage one last time with Gregg kicking things off. If you are a fan of Gregg Allman or the Allman Brothers Band, then purchasing All My Friends: Celebrating The Songs and Voice of Gregg Allman will be an easy decision. 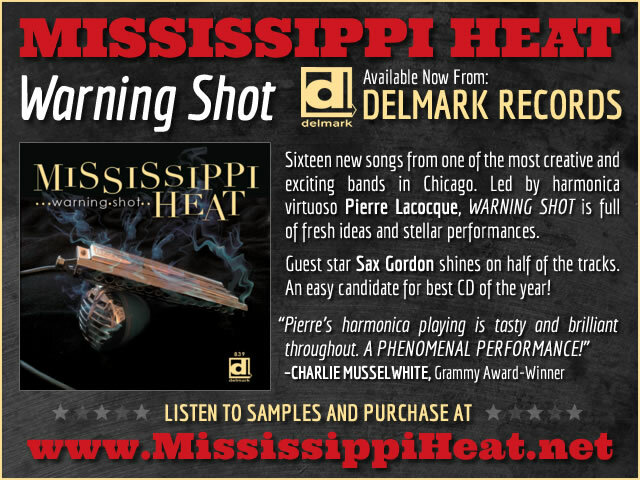 If you like Southern rock, you will certainly want to pick up a copy too. But the universal appeal of this well-produced set is that it includes work from some of the most influential artists of today, which makes adding this well-rounded music collection to your library almost irresistible, even if you are only the least bit interested in the man or the band. Check it out for yourself, and do not be surprised if you end up buying a copy too! 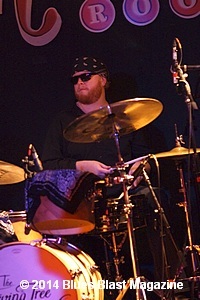 Graham Wood Drout is probably best known for the songs he has contributed to Albert Castiglia’s albums – “Big Toe”, “Ghosts Of Mississippi” and “Celebration” for example. 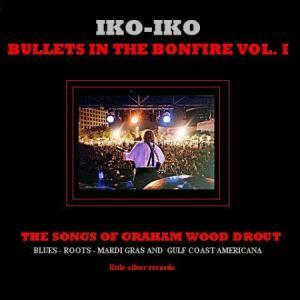 However, in Florida Graham and his band Iko-Iko have been filling the clubs for thirty years with what they describe as ‘Urban Swamp Music’. This generously filled retrospective includes material from across the band’s four albums (dating back as far as 1988) as well as one cut each from Albert’s first album and Graham and Albert’s acoustic “Bittersweet Sessions”. The style is varied and includes elements of New Orleans second line rhythms, Americana, rock and R n’ B. A large cast of musicians appear across this selection with Graham ever-present either as vocalist, bass or guitar player. Larry Williams is on guitar on most tracks with Mike Bauer and Nick Kane playing on a couple of songs each; Stewart Jean plays drums on most tracks with Glenn Caruba on percussion on three tracks and Danny Swetland, Cam Robb and Joseph Anthony Smith helping out on drums on a few tracks; Mike Mennel is on bass with Mark Harris on one track and Graham himself on three cuts; Bob Hemphill adds harp to two tracks and Doug Leibinger plays keys on four selections. Ron Dziubla makes a significant contribution to the Iko-Iko sound playing both sax on six tracks, organ on three and guitar on one. 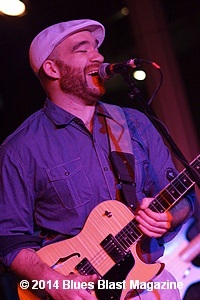 Albert Castiglia appears on the two tracks culled from his and Graham’s output. Apart from one traditional tune Graham wrote everything here with some assistance from band members. The collection opens with three strong songs, each enhanced with Ron’s sax playing. The band give us some New Orleans sounds in “Party Car”, debate what the American Dream is all about in “(I Never Had An) American Dream” before the original version of “Celebration” which allows us to compare it with the two versions that Albert has recorded. Ron’s fine sax coda certainly distinguishes this version though both Albert’s recordings are also excellent – it is simply an outstanding song. “Miller’s Woods” is a swampy number with some creepy lyrics about a strange place where “my spirits dwell like a silver dollar down a wishing well – they know I’ve been there before”. “Late Hours” and “Snowstorm In The Jungle” include Bob Hemphill’s harp, the former a slow paced instrumental feature for Bob that fits its title well, the latter a funky rocker in which the harp is more about adding colour. “Pet De Kat” has some more NO style party music with Ron’s sax a central feature. Three songs with interesting titles then follow: the wonderful title “Jalapeño Be Thy Name” takes us to the border territories with its Mexican rhythms and Ron again featuring on sax and very Mexican trumpet, Graham’s lyrics giving praise to the preferred hot spice of that area; “Too High To Drive” rocks along nicely while “Walk With The Zombie” is very strange with a distant spoken radio voice eventually giving way to a slow tune dominated by Ron’s sax, Graham adding to the weird feel of the song by almost speaking the lyrics. The attractive Americana rhythm of “Riding The Rims” has a catchy feel with piano heavily featured and would be a song that would be a good fit for someone like Tom Petty. 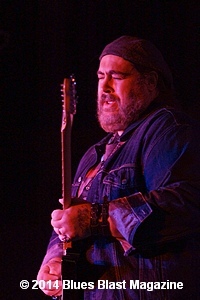 The two collaborations with Albert Castiglia find Albert on his first recording “Burn”, tackling Graham’s “The Day The Old Man Died” a song about the death of Albert’s former employer, Junior Wells. One immediately recognises Albert’s distinctive voice as he sings of how he reacted to Junior’s passing and Albert also sings “Ghosts Of Mississippi” in an acoustic version taken from Graham and Albert’s “Bittersweet Sessions”. This song is another superb example of Graham’s craft as a songsmith, evoking the way that this music crossed from Africa with the slaves to take root in the Delta: “Meet me at the bottom, where the Southern cross the Dog, where the ghosts of Mississippi meet the gods of Africa”. 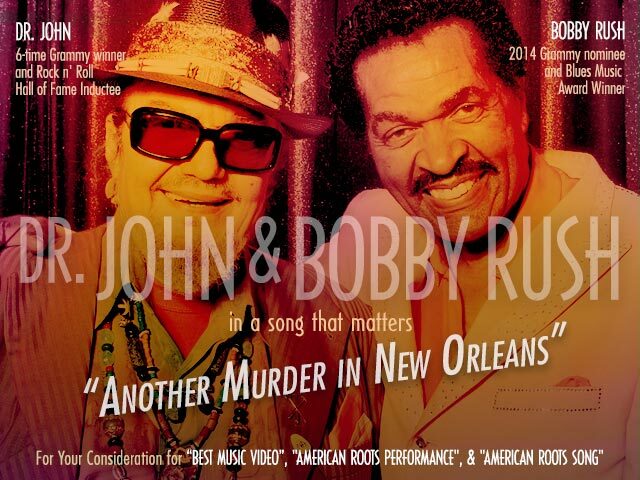 The song has been recorded in full electric band mode by Albert and was also an integral part of fellow Floridian Joey Gilmore’s success at the IBC’s a few years ago. The only real criticism of this collection is the inclusion of two live tracks, both of which suffer in comparison with the studio tracks: “Don’t Mess With The Voodoo” has a ‘muddy’ sound and “Motherless Children” clocks in at over ten minutes of guitar noodling that sounds like a slow night with The Grateful Dead. The collection might have benefited from dropping these two cuts. Graham Wood Drout is not really a bluesman but with such a variety of styles there is plenty of good music to enjoy here and affords the opportunity to enjoy the work of a real craftsman songwriter. 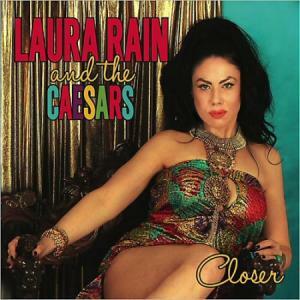 One glance at the lovely, intense goddess peering majestically from the cover of this CD will tell you that Laura Rain and the Caesars, her tight three-piece ensemble from Detroit, mean business. From the first note, they don’t disappoint as they deliver some of the finest soul blues rolling out of Motor City in years. A powerful vocalist who’s split her time between Michigan and Los Angeles during the past decade, Laura possesses an electrifying vocal range that might remind some listeners of an early Aretha Franklin. 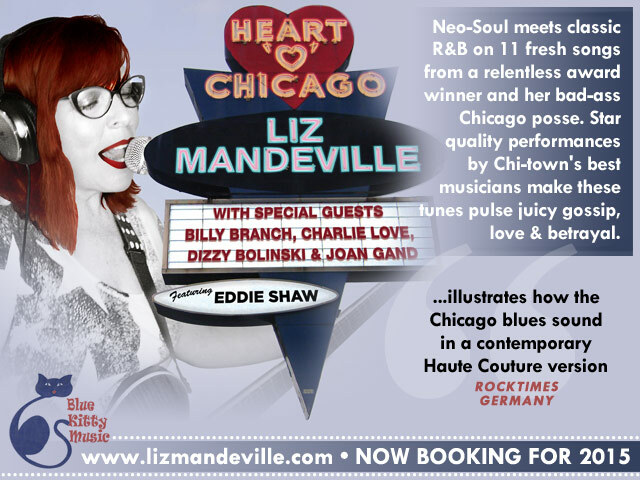 She and guitarist George Friend, who’s spent time with Janiva Magness, the Soul Messengers and rockabilly legend Robert Gordon, composed all of the material you’ll hear here with one foot squarely in the ‘60s or ‘70s, the golden age of American R&B. 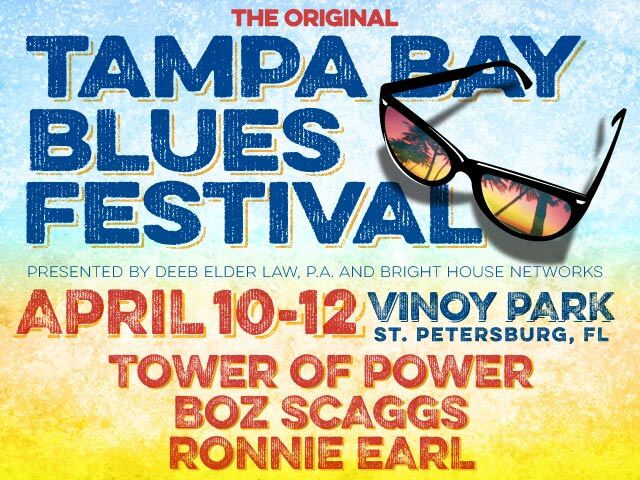 Billing themselves as a retro soul band with one previous disc to their credit, they’re joined by keyboardist/bass player Phil Hale, a veteran of Martha Reeves’ and George Clinton’s bands, and percussionist Ron Pangborn for this ultra-tight red-hot set. They’re aided by several guest artists, including: Rick Beamon, Todd Glass and Terry Thunder (drums), Sheila Hale (tambourine), Jim Simonson and Leon Powell (bass), Duncan McMillan (organ), Johnny Evans (saxophone) and John Douglas (trumpet). Available through Amazon, CDBaby and the band’s website, the album kicks off with, “Seasons,” a little bit of funk sure to get you out of your chair and on to the dance floor. Laura’s range is evident as she alternates lines from sultry alto to searing soprano. Friend’s bluesy guitar solo gives the tune added depth. The silky title tune, “Closer,” is delivered with a Memphis feel. It’s a song of burning sexual desire. “Squawkin’” is a straight-ahead blues about so-called friends who want to see you fail in your life’s pursuits. Next up, “All Of Me” is a lover’s complaint about being used, while “Meet Me In The Middle” follows with a request to find some common ground. The mood slows for “Your Love Is Not Broken” as Laura stretches out to reassure a lover that the flame they share still burns brightly despite things not going his way. “Dirty Man” is a burner in which the singer wonders about rumors her guy’s cheating. Laura answers the question next in “He Is.” The funky “Super Duper Love” tells the tale of a man who possesses plenty of women, but “will never have me.” Two more songs of romance follow: In “Awful Sin,” Laura gives in to a lover against her best judgment; and she proclaims “My Heart Is Open” in a sugar sweet ballad that concludes the set. If you favor old-style R&B flavored blues, you’ll definitely like this one. While the theme of the material may seem familiar, the songs are all tasty and the band top notch. 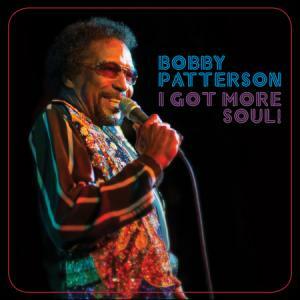 Bobby Patterson – I Got More Soul! Well, this is a treat. Bobby Patterson recorded his first session in 1957 for Liberty Records in L.A. No songs were released, but the session kick-started a life in professional music. Patterson worked in the 1960s for Dallas label, Jetstar R&B, for whom he recorded hits such as “How Do You Spell Love?” (later covered by The Fabulous Thunderbirds) and “T.C.B or T.Y.A.”. He also acted as staff producer and promotion man, before moving into production for the likes of Albert King, Little Johnny Taylor and Fontella Bass, as well working as a DJ on the KKDA-AM radio station in the Dallas/Fort Worth region. All the while, he continued writing songs, such as Albert King’s “That’s What The Blues Is All About”. 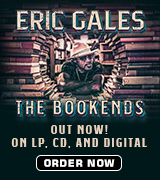 The 70-year-old Dallas native has now released his first studio album in years (by this writer’s calculation, 1998’s I’d Rather Eat Soup was the last one), the appropriately titled I Got More Soul! on Omnivore Recordings. Mixing equal parts blues, soul and R&B, I Got More Soul! 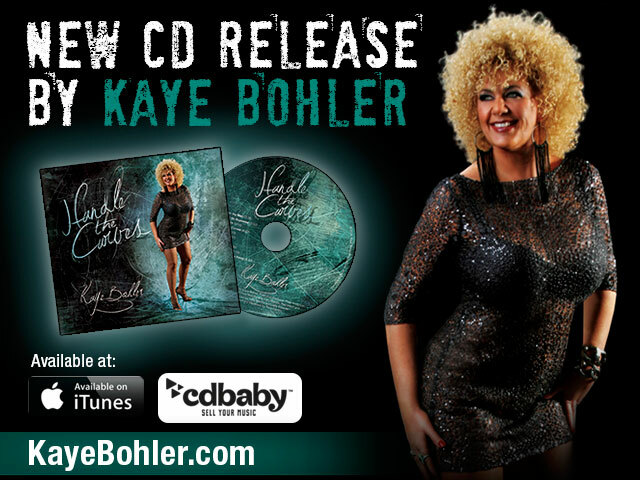 features 10 songs, eight of which were written either by the writing team of Patterson and Jerry Strickland or by the core band featured on the record of Patterson, Zach Ernst, Scott Nelson and Matthew Strmiska. The two covers are a great soul re-working of The Dirtbombs’ “Your Love Belongs Under A Rock” and Sly and The Family Stone’s “Poet”. And these two songs are a pretty fair reflection of the music here – there is the funk and soul of Sly but also the grit and youthful energy one would expect from a Detroit garage band. Given his age, one might expect Patterson’s voice to be losing some of its flexibility and scope but his performances here would be impressive from a much younger man. He has a individual vocal style, albeit with echoes of the great soul singers of the 1960s in the way his inflection rises at the end of a line. He also has a intelligent, very personal line in lyrics in songs such as “I Feel The Same Way” and “Let Me Heal It”. Welcome back, Mr Patterson. We have missed you. 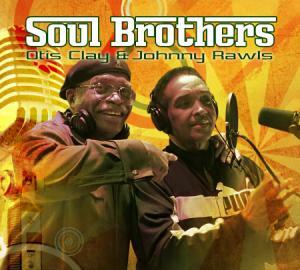 The deep soul and blues duo of Otis Clay and Johnny Rawls join forces with an amazing set of backing musicians to deliver to us 6 new songs and 4 superb covers. Rawls, who continues in the footsteps of Little Johnnie Taylor, and Clay, who earned his fame with Hi Records in Memphis under the wing of Willie Mitchell, travelled many of the same circuits for 40 years yet have only become personally familiar with each other in the last 10 years. Sharing roots in Gospel and touring the US and globe as soul stars gives these two guys a common heritage and now they take what they learned as fans of each other into practice, delivering very emotional and powerful performances on these 10 enchanting tracks. The backing band is a marvelous assemblage. The Rays are the band and they are Richy Puga on drums, Bob Trenchard on bass, Johnny McGhee on guitar, Dan Ferguson on keys, Andy Roman on sax, Mike Middleton on trumpet, Robert Claiborne on trombone, and Nick Flood on sax. Add to that the sweet Iveys on backing vocals (Arlen, Jessica and Jillian) and you have a wonderful assemblage that allowed the production of this excellent soul album. The CD starts out with Dave Mason’s popular “Only You Know and I Know.” I loved the original, the Delaney and Bonnie 1971 cover of this song and now with these two soul greats I can chalk up a third great version that I will savor. Backed by a solid band, they do this song justice and keep it fresh and cool. “Momma Didn’t Raise No Fool” is a new cut and features a sound from the great horn section and the two gentlemen just lay it all out in this funky and tasty selection. With “Voodoo Queen” we have another original song. Rawls introduces us to the New Orleans vixen who cast a spell on him and then Clay takes over the lead vocals for another verse and chorus. The last part of the song features guitar, keyboard and lets the boys in the band take us home. I was waiting for big duet to perhaps complete things, but this was good, too. Jimmy Ruffin’s “What Becomes of the Broken Hearted” starts with Otis and then Johnny comes in for his solo. Rawls does a bit more in a later chorus and backing vocals but this is mostly Otis’ song and he delivers the goods. Trenchard and Rawls cowrote “Living On Borrowed Time” as they did “Voodoo Queen.” The Soul Brothers split the leads and alternate back and forth on this jumpy and danceable cut. The second half of the CD starts with “Turn Back the Hands of Time” which is a Tyrone Davis tune. The boys go back and forth as the horns and vibes chime in soulfully. A thoughtful and tasteful cover tune for sure! Trenchard, Rawls and Clay worked to give us “Road Dog,” a song about life on the road. Al Basile contributed in writing “Poor Little Rich Girl,” a nice, slow, soulful story about how the poor little rich girl who can’t buy love. Ferguson offers some nice keys and McGhee’s guitar also speaks to us a bit. This one is a winner! Rwls gives us “Hallelujah Lord” and starts things off praisefully and prayerfully. Otis takes his turn and then the two of them go at it as they and the band testify sweetly to us. Kay Kay Greenwade’s “Waiting For Dreams” sends us offwith another powerful performance. Soul music lovers are going to rejoice when they hear these two great masters do a complete album together. There is no “one-upmanship;” these guys work as a team and give us a very thoughtful and inspired set of performances. 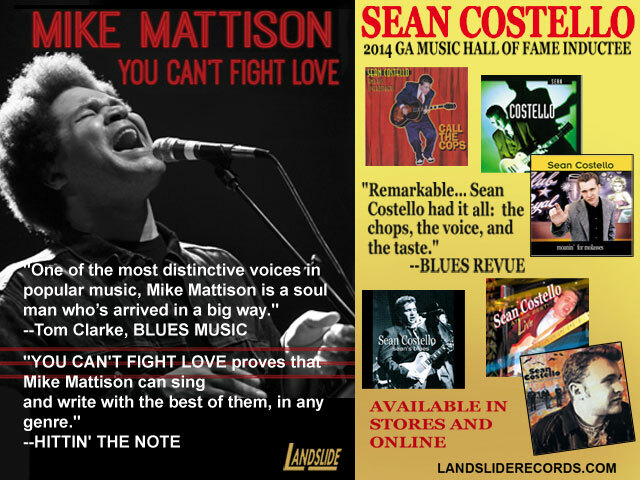 If you are a blues and soul fan it’s time to buy a new CD- you won’t regret adding this one to your collection! The Washington Blues Society Presents: The 2014 Snohomish Blues Invasion Sunday November 30th. 2-10pm 34 blues acts in Six venues up and down Historic First Street in downtown Snohomish WA. $10 donation. This mini festival event showcases the rich depth of talent in the blues music community of the Northwest and supports the Washington Blues Society as we send two entrants to represent our state to the world’s largest gathering of blues bands in January of 2015, the International Blues Challenge in Memphis TN. 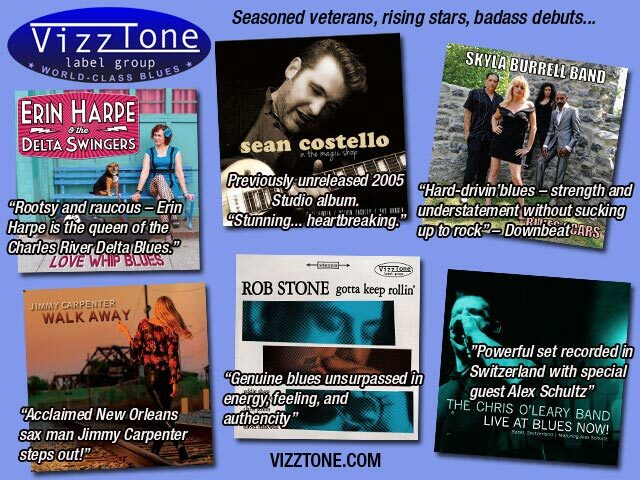 Our entrants will also perform at the Blues Invasion: The Rafael Tranquilino Band and Nick Vigarino. The DC Blues Society rings in the New Year with Severn Records’ newest recording artist, Ursula Ricks. On December 31, 2014 from 7:00 pm – 12:30 am, the “Queen of Baltimore Blues” will provide the dance groove at the American Legion Post 268, 11225 Fern Street, Wheaton MD 20902. The Party includes a southern-style dinner, party favors, midnight champagne toast & a reasonable cash bar. Seating is limited. 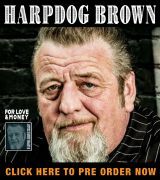 Buy tickets at www.dcblues.org or call 301-322-4808: $35 in advance ($30 for DCBS members); $40 at the door ($35 for DCBS members). Metro accessible. Ample parking. Ursula Ricks is a blues singer & songwriter with a rich, sultry velvety voice evocative of Etta James. 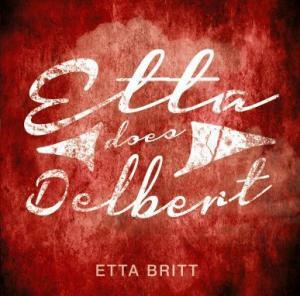 She brings her soulful, deep-throated, blues-driven approach to a wide range of songs. Additional ICBC shows: Nov. 20—James Armstrong Presents @ The Alamo, 6 pm, Nov. 22 – Hurricane Ruth CD release party at The Alamo, with special guest, Mary Jo Curry & Tombstone Bullet, 7 pm, Dec. 4—James Armstrong Presents @ The Alamo, 6 pm, Dec. 18 – James Armstrong Presents @ The Alamo, 6 pm.